Construction on a northern extension of the Animas River Trail could start next year. The trail ends near 29th Street, and the extension would provide access to Oxbow Park and Preserve. The park and preserve does not have a dedicated parking lot, and the trail would provide an alternative way to access the park. The Animas River Trail is poised to head north next year, if the Durango City Council approves construction. It is one of two trail-related projects the council will consider in the coming months before the budget is adopted in December. The council also might pay for a study of an underpass that could connect the Animas River Trail to Main Avenue. The study would look at the most logical place to tunnel under Camino del Rio between the U.S. Highway 550/160 intersection and 15th Street, said Cathy Metz, parks and recreation director. However, the trail extension north is closer to becoming reality because the city is funding its final design this fall. The trail will extend from Memorial Park to a dedicated bridge over the Animas River at 31st Street. It would then connect to an overpass planned at 32nd Street before heading north to Oxbow Park and Preserve. The first phase of the 1.1 mile section of trail is estimated to cost $1.7 million and construction will likely start in Oxbow Park, Metz said. It is unknown exactly how long the first phase will take, she said. During the second phase in 2018, the city expects to spend about $1 million. The two bridges, estimated to cost $1 million each, are not expected to be funded until at least 2019. In the interim, trail users would use the 32nd Street bridge, she said. The Parks and Recreation Advisory Board agreed to delay the bridges in favor of extending the trail to Oxbow Park, she said. “It was a higher priority to get that trail all the way to the Oxbow,” she told the council earlier this year. 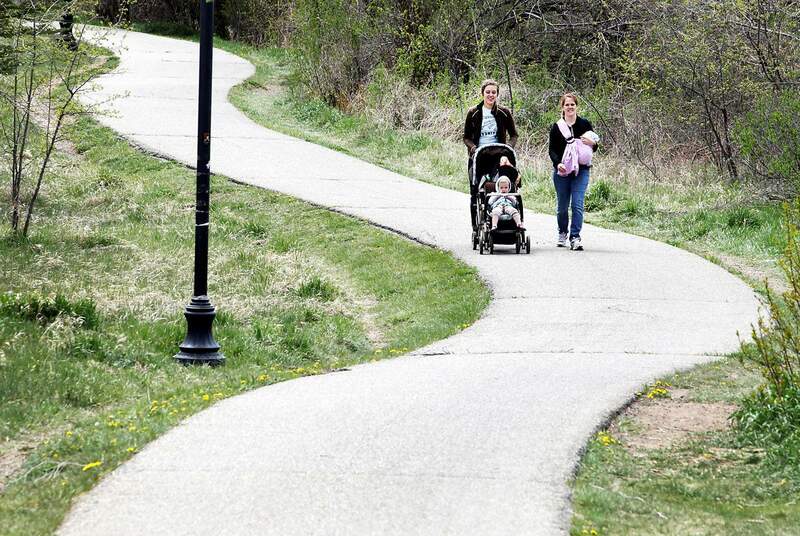 The city has not received any grants to help pay for this section of trail. Connecting the trail to Main Avenue from the Animas River Trail is an idea the city explored in 2008 and 2009 and consultants found that a tunnel near 12th Street would be tough. “It was very difficult to develop the underpass at that location without the removal of River City Hall,” Metz said. But the city has decided to reconsider the idea. The cost of a tunnel would likely be boosted by the uranium tailings on which Camino del Rio is built. The tailings would have to trucked away, Metz said. Architect Rick Feeney lives near the 12th Street and Camino del Rio intersection and sees an underpass as a way to address traffic concerns, especially because pedestrians have been hit in the intersection. “It’s something that ought to be done. ... There is no way to get to the river trail from downtown,” he said. It could also draw tourists to the river, and give them a visual cue that there is more to see and perhaps help them find the Powerhouse Science Center. He often sees tourists turn around at 12th Street. “They figure they have done everything in Durango,” he said. mshinn@durangoherald.comThis story incorrectly stated the route of the trail. It will cross over the Animas River near 31st Street.